Pre R.A.F. 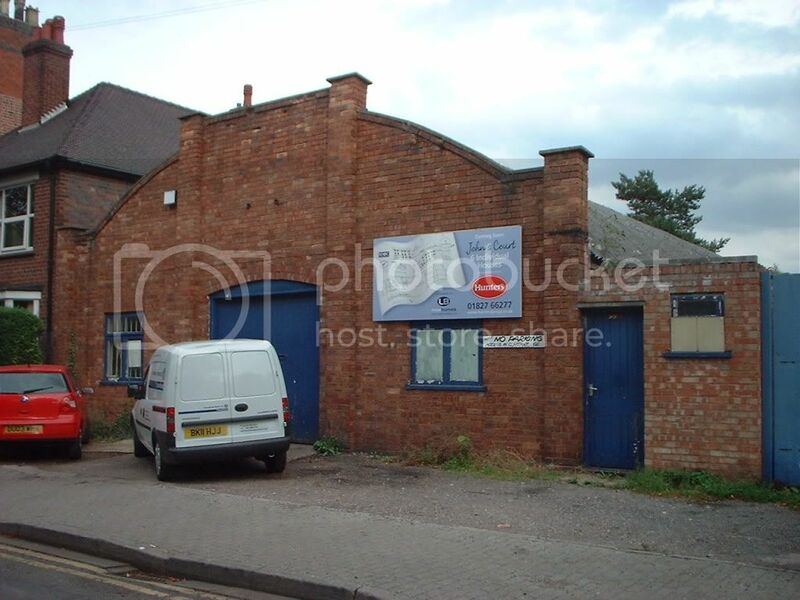 (Royal Flying Corps) aircraft hanger to be demolished! 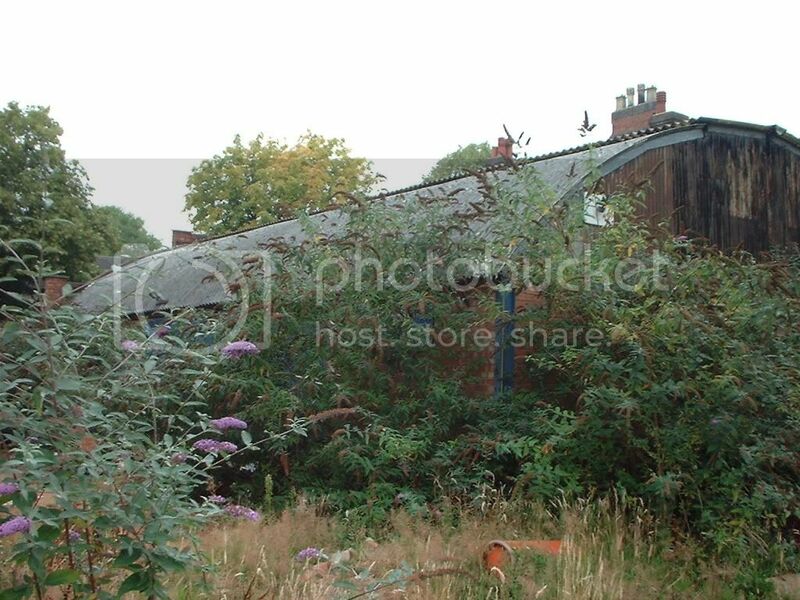 Another piece of Tamworths heritage is about to disappear and no one seems to have noticed. 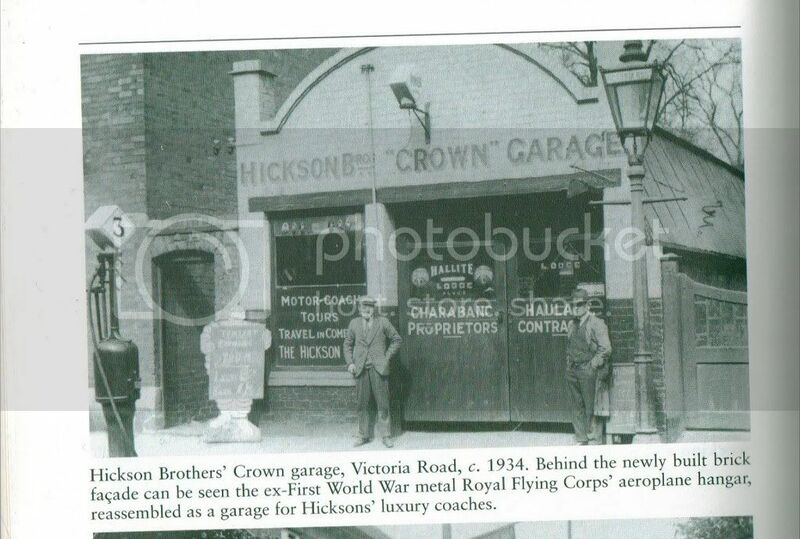 Hickson Brothers Crown Garage on Victoria Road is about to be redeveloped with six houses to be built on the site. The garage was originally a first world war aircraft hanger which was re-assembled on the site where the brothers who started as haulage contractors ran luxury coaches and Charabancs,they later moved to a site opposite the Jolly Sailor inn (another piece of destroyed heritage) on the Bonehill Rd (now the Co-op garage). This hanger must be virtually unique as very few hangers where built during the first world war and very few can have survived. It also pre-dates the R.A.F. being an ex Royal Flying Corps hanger. Photo taken from "Around Tamworth in old photographs" by Richard Sulima. 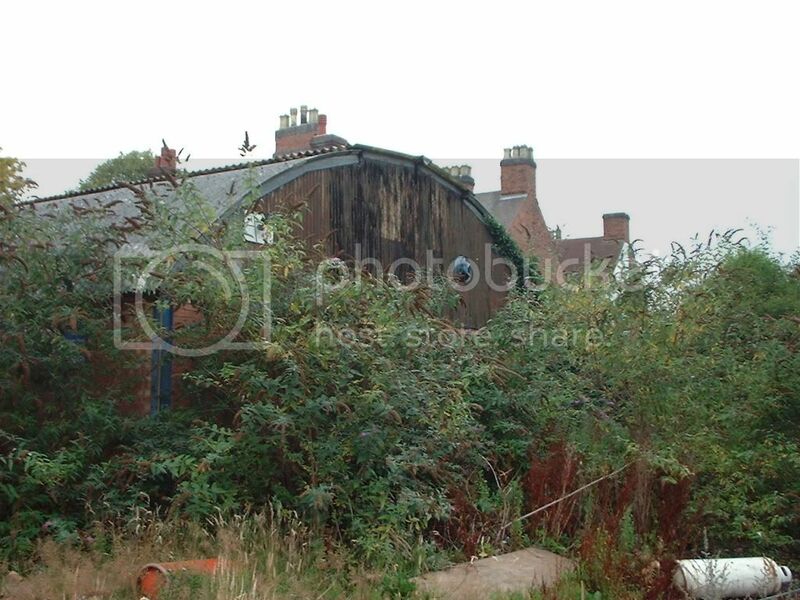 The hanger does now appear to be fairly run down and I admit that I do not know how much of it is original but it does seem sad to just pull it down. I have contacted R.A.F. Cosford about it but they do not wish acquire this building for the Museum so unless anyone can think of another museum who might be interested its fate seems certain. The vegitation makes it difficult to get a good photograph. It will be such a shame to loose this building. So please put Your thinking caps on and see if You can think of anyone who might save it. Thanks for spotting this one and bringing it to attention, didn't anything about it. Maybe it's worth getting experts on the case, evaluate how much is original, how rare it it is. Contact associations, forums on early aviation. If the case is good could go for English Heritage spot listing, anyone can apply for it. My brother's into flying and is a big fan of early aviation, I'll contact him and keep thinking about what can be done. Thanks for the info on Wigginton park on my blog. Yes it must b worth saving. In B'ham a few months ago, I spotted at the rear of an old Post Office building wartime camuflarge (sic) upon the walls of that building and others ajacent. 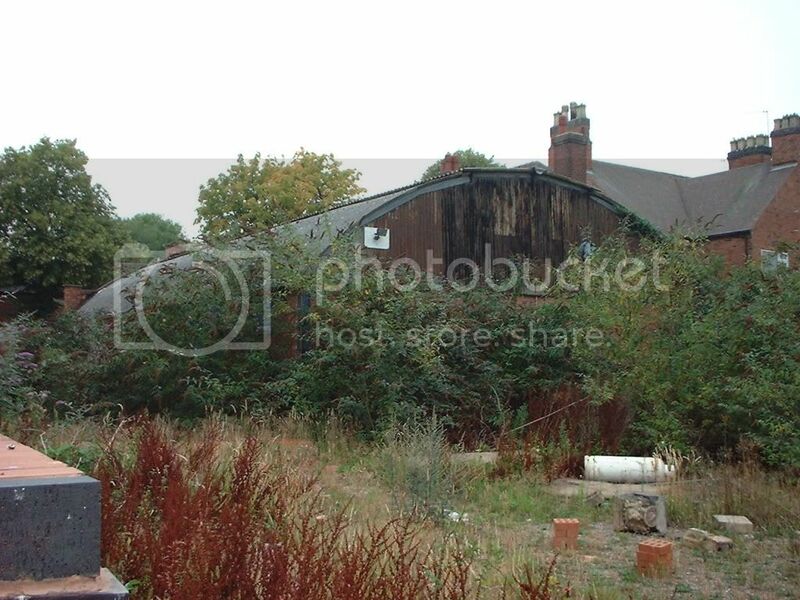 This wonderful old hanger has now been demolished as no one came forward to rescue it so it has now gone which seems such a waste and yet another bit of Our heritage gone forever. There is a block of flats on the site now.